Braska Williams ’89 was three years into his coursework as an engineering major at NC State when he decided to switch majors. “My parents thought I was crazy,” he said. He set out to become a high school math teacher. “I decided that I would change the world for students of color in STEM by becoming a math teacher since few people ever see a black man as a math teacher,” said Williams, who completed his undergraduate degree in mathematics and minor in engineering. After working for about 13 years as a high school math teacher and STEM program coordinator for a public school district in Virginia, he is today influencing students of colors through his work as the director of NC State’s NC-MSEN, or the North Carolina Mathematics and Science Education Network Pre-College Program. The program, housed in the College of Education’s Friday Institute for Educational Innovation, focuses on serving students of color and encouraging them to attend college and pursue STEM careers. Since becoming its director in 2004, NC-MSEN has served over 4,500 students. 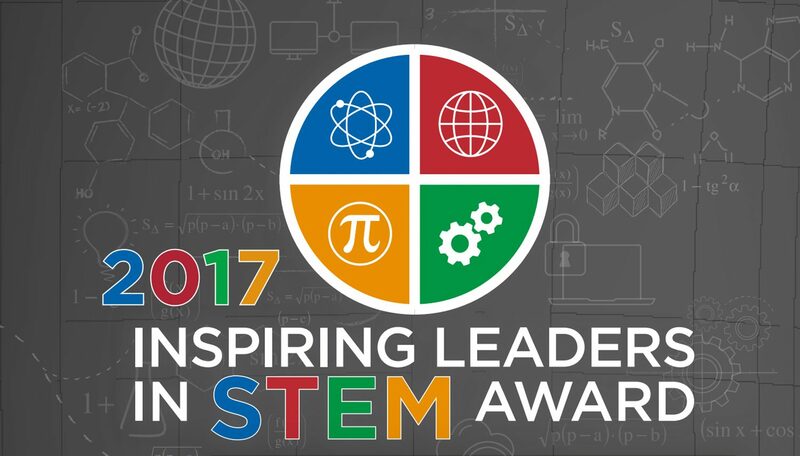 In recognition of his efforts to enhance “opportunities for underrepresented groups in STEM,” Insight Into Diversity Magazine has awarded Williams a 2017 Inspiring Leaders in STEM Award. “It means a lot to be recognized for my work, but I’m someone who does not look for attention,” he said. Williams spoke with ced.ncsu.edu about the NC-MSEN Pre-College Program and about what inspires him. What do you enjoy the most about your job as the program coordinator for the NC-MSEN Pre-College Program? I get to work with teachers, parents and students. I love people, so this is great for me. I get to be somewhat creative because I have created partnerships and relationships with many of our STEM colleges/departments across campus. This has created opportunities for our students. I love connecting students with opportunities. What do you hope to achieve through your work with the NC-MSEN Pre-College Program? Almost 40 percent of African-American students across our nation live in poverty, and statistics are similar for Latino students. Education is a vehicle out of poverty, and it’s a more realistic vehicle than any other method out of poverty. In Newport News, we are known as the home of Michael Vick and Allen Iverson, All Pro NFL and NBA players. So many of the young men that I taught believed that sports was their ticket out of poverty because of a few young men like Vick and Iverson who were also successful in the NFL. I have two young men from Newport News who were in the STEM program that I coordinated. One of them earned an engineering degree, and he is about to earn his MBA this month. The other young man attended NC State because of me, and he earned two degrees in math and physics, and he earned his master’s degree in physics from Ohio State. They both now earn over $100,000 per year, and they are both in their 30s. For them, the poverty cycle is broken forever for them and their children. If I am able to help others in this way, my work meant something, and my life mattered. What did you learn during your teaching career that has stayed with you and influenced your role as the director of NC-MSEN? I developed very close relationships with my students, and one student in particular named David Clark changed my life. I taught David for two years in a row in two different math courses. His dream was to become a college basketball player. He was an average student, and I asked our basketball coach about him. Our coach said that he was just OK as a player. This young man would stay after in my room for tutorials quite often and so we talked a lot about his dreams. I was somewhat cynical about his desire to play college basketball because to me, every young man thinks that he wants to play college basketball. At the end of his sophomore year, he told that he was going to transfer to one of our rival high schools to obtain more playing time. He did transfer, and he did start his junior and senior years. He averaged 13 to 14 points per game; not enough to earn any college offers. It was crazy because he and I maintained contact. I would run into him at Roses or Wal-Mart, and he would give me an update. He still kept talking about his desire to play college basketball. I never discouraged him, but I surely didn’t encourage him either. So, finally, he graduates, and he decides to not give up on his dream and attends our local community college. After his freshman year of community college, he decides to stay with family in New York City and play AAU basketball. Through this experience, he earns a scholarship at a Division II college. Once again, I see him at a Wal-Mart or the parking lot of Roses where he shares his great news. I’m just amazed at this. I make a promise to myself to not be cynical, but I will always encourage students to pursue their dreams and passions. This award honors those who inspire younger generations. Who are those people who have inspired you? Dr. Wandra Hill in the NC State College of Sciences. She inspired me to become not just a teacher, but someone who could and would make a difference in the lives of minority students in the area of STEM. She provided so much support emotionally and academically for students of color in the College of Sciences; most if not all of my classmates have earned master’s degrees and Ph.Ds because of her push and support. She created a vision of what I could accomplish as an educator. I am forever thankful for her. What do you hope the students and the teachers you work with learn from you? Education is the key to success for anyone regardless of a person’s background. I believe that all people have the potential to become successful. I make it a point to never be too busy to help someone else. I hope that my teachers and students learn that from me. For me the ultimate blessing has been my oldest daughter who is a high school senior, and she is planning to double major in math and math education. NC State is her second choice while Harvard is her dream school. I privately hope that she comes here, but it’s hard to fight against Harvard! To me, this has meant so much because it means that my own child has seen that teaching is important and what I’ve given my life to do matters to her as well.